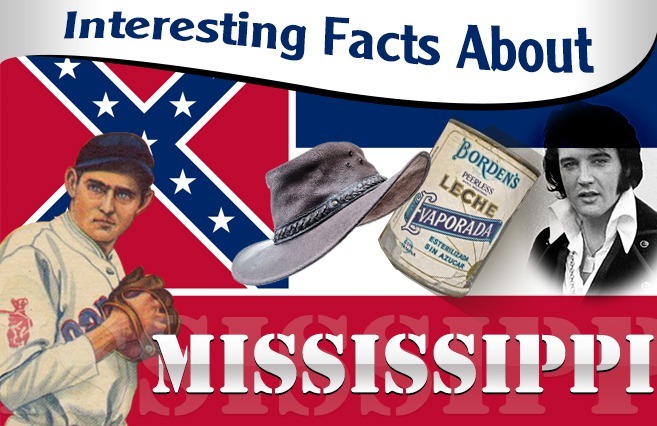 Mississippi is the a southern state and the 20th state in the USA. Compared to other states, Mississippi is heavily forested (outside of the Mississippi Delta) and is a largely rural state with several agriculture areas. It also has the largest concentration of African-Americans. While it’s not an economically wealthy compared to other states, Mississippi otherwise has other riches found in music, arts and culture. Its bucolic charm and vibrant cultural and music scene entice tourists from across America and other parts of the world. Jackson is Mississippi’s capital and largest city. The world’s largest shrimp is on display at the Old Spanish Fort Museum in the city of Pascagoula, Mississippi. As the state borders the Gulf of Mexico on the north, it’s a big ocean out there, so it’s possible to catch a kind of shrimp such size. The sandhill crane (Grus canadensis) is one of the rarest cranes in North America. It resides in the grassy savannas of the Jackson County. It is 44 inches tall and boasts an 8-foot wingspan when spread. Walter Payton (1954-1999) is the late American football running back who became one of the most prolific running back in NFL history. And Payton was also the first football player to appear on a Wheaties box! The “Sweetness” in NFL was born in Columbia, Mississippi on July 25, 1954. Barq’s is known for its caffeine-laced root beer. Its founder Edward Adolf Barq had moved to Biloxi, Mississippi in 1897, along with his new wife. The following year he opened Biloxi Artesian Bottling Works, where he concocted and introduced his famous root beer. However, some claimed that Barq did not invent it in 1898 but rather a couple of years later. Its founder, Gail Borden (Gail was a man with a girlish-sounding name, just so you know), is widely considered as the inventor of the condensed milk, in 1853. His products were first canned in the town of Liberty, Mississippi. The northern mockingbird (Mimus polyglottos) is one of the two official state birds in Mississippi (the other is wood duck, the state waterbird). The mocking bird was adopted as such in 1944. Dr. George H. Tichenor, who developed and perfected an antiseptic, started his experiments in Liberty, Mississippi before the Civil War during the mid-19th century. After a few years in Liberty, he eventually moved to Baton Rouge, where he had his invention patented. The two-room, small house in Tupelo, Mississippi where the future King or Rock and Roll was born on January 8, 1935, is a historic museum nowadays. It is attended by fans from across the US and from many parts of the world. Guy Bush was a Mississippian all his life. The right-handed “Mississippi Mudcat” in Major League Baseball was born in Aberdeen, Mississippi in 1901 and died in Shannon, Mississippi in 1985. Bush had a seventeen-year professional baseball career. John Batterson Stetson (1830-1906) learned and practiced the art of hatmaking in Dunn’s Falls near the city of Meridian, Mississippi following the civil war. He eventually perfected and popularized the cowboy hat.